Survivor's new season premiere and Big Brother's Season 20 finale are going to air on the same night! CBS has announced the premiere of Survivor's 37th season and Big Brother's twentieth-season finale will both be extended by a half-hour when they air back to back on Wednesday, September 26. 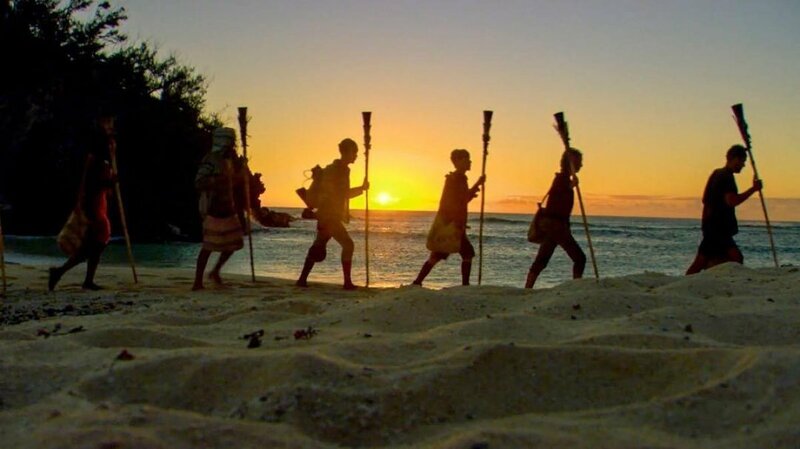 The premiere of Survivor: David vs. Goliath will air from 8-9:30PM ET/PT. Following the broadcast, Big Brother's winner will be revealed during the Season 20 finale airing from 9:30-11PM ET/PT on CBS. Beginning on Wednesday, October 3, Survivor: David vs. Goliath will move into its regular time period of 8-9PM ET/PT. Survivor's next edition will feature people perceived as underdogs -- who have had to overcome many obstacles in life -- pitted against accomplished or charming individuals, who are seemingly very strong or have risen to the top of their various industries. "A Goliath is a way of looking at someone who grew up with a wealthy family and education or some skill that was distinctly born with them. And there's other people on the other side of the tracks who don't seem to have much going for them but figure it out," Survivor host Jeff Probst told Entertainment Weekly. "I could get very deep on this. David was laughed at when he suggested he go up against Goliath... [but] don't underestimate Davids, even it seems like a joke. Davids can actually not only be an underdog who win something, they can actually become a king." And Big Brother's season is fresh underway, as only one houseguest -- Steve Arienta -- has been evicted so far. The current season features a tech theme, complete with a "BB App Store" twist. The top-trending houseguest on social media receives a "Power App" each week, while the least-trending houseguest earns an unfortunate "Crap App," which turns out to be a funny punishment. Big Brother airs on Sunday, Wednesday and Thursday nights on CBS, with the Thursday night episodes being live evictions.